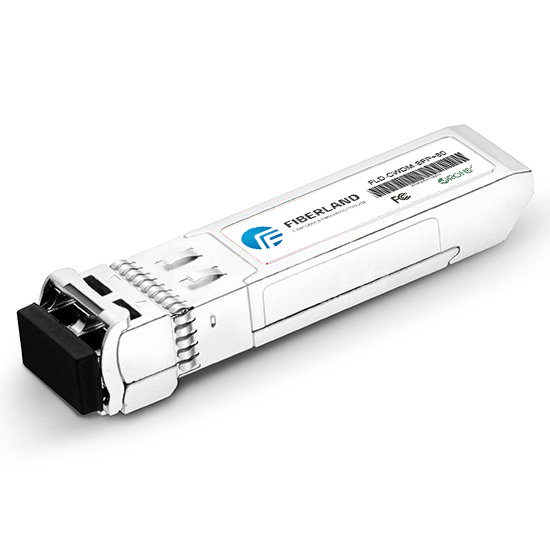 The new low-power consumption SFP+ 10G LR fiber optic transceiver has the characterized in that: the power supply unit is connected with a light emitting unit, a light receiving unit, a digital diagnostic unit, 20-Pin electrical interface. And the light receiving unit is connected to the 20-Pin electrical interface; the digital diagnostic unit is respectively connected with the light receiving unit, light emitting unit and the 20-pin electric interface. In addition, the light emitting unit is also accessed to the 20-pin electrical interface. Our SFP+ 10G LR fiber optic transceiver adopts an efficient low-power laser transmitting components and a laser driver to simply the design of the circuit with the advantages of high-speed photoelectric conversion function, small size, low-power consumption and stable performance.